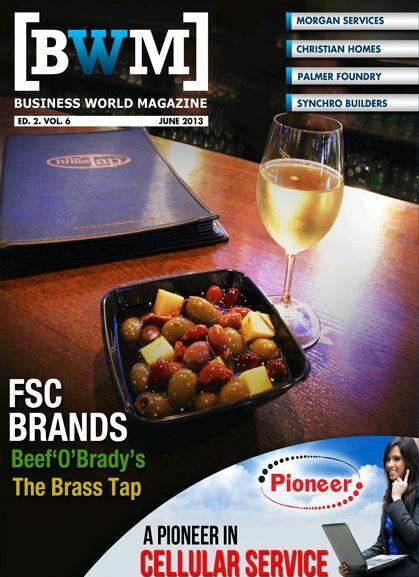 J. Paul Getty once suggested a seemingly simple formula for achieving professional success – “Rise early, work hard, strike oil.” For those affiliated with a franchising operation headquartered in Orlando, that very formula has proven highly successful to helping restaurants and cafeterias not only operate more efficiently, but more safely and cost-effectively. For entrepreneurs looking to strike oil, here’s a formula that focuses on filtering as opposed to drilling. of such professional pursuits, there is one company which is practically in a class of its own. 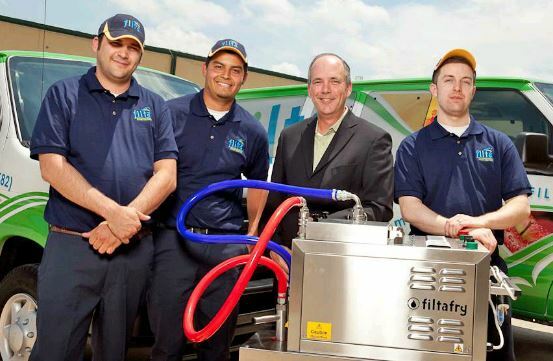 In terms of organized, wide-scale competition, there are none that rival Filta, an enterprise that provides environmentally safe kitchen and cooler services, as well as the most innovative, if not safe and convenient, of service solutions involving the fryers and excesses of oil typically used in restaurants and cafeterias. FiltaFry is the only service of its kind in the United States that specializes in mobile, onsite maintenance of deep fryers in restaurants and commercial kitchens through a comprehensive fryer management system that includes micro-filtration of cooking oil, thermostat calibration, vacuum-based cleaning of deep fryers and operations guidance. FiltaFry has not only helped their customers to reduce costs associated with the routine purchasing of frying oil, but has also helped customers increase safety for workers, improve food quality and achieve greater environmental standards which would be otherwise negated in the strategies normally deployed by restaurant operators. To explain, consider that the typical commercial kitchen will feature a menu with a variety of fried-dishes, from French fries and onion rings to fish, chicken, shrimp and more. The equipment used in that process, as well as the ongoing supply of cooking oil, can be among the areas of greatest, frequent operational cost. The oil has to constantly be changed because if not, the quality of the food’s taste declines. Changing that oil can be a tricky situation. A worker typically has to loosen a spigot on the underside of the fryer allowing the oil to flow from the drain. This will often become clogged by residual pieces of food, thereby forcing the worker to use a pole or other implement to unclog the drain. It’s hot and dirty work that often falls to the lowest man on the kitchen totem pole. The oil, once collected, is then typically transferred into a container outside, generally near the garbage area, where the used oil then effectively helps attract pests in the form of roaches and rodents. There’s not a year that will pass without seeing some form of worker injury caused from processes involving deep fryers. During that same time, restaurants will spend money relating to clean-up, pest control or the paying of regulatory fines resulting from failed sanitary processes. Filta effectively eliminates all of these problems, enabling restaurant and cafeteria owners to focus more on their core services of creating recipes and serving meals to customers. Filta’s emergence into a business model and franchising system is a story that begins with Jason Sayers. According to Filta Vice President of Franchise Development Adam Blake, back in the mid 1990s, Sayers was preparing for a cricket match when he received disturbing news that one of his teammates had been severely injured by burns he endured during his part-time job at a restaurant. As so often happens with a number of workers, the man was attempting to drain a deep-fryer. Upon loosening some of the food that had been clogging the drain, the hot oil spewed out causing him to receive third-degree burns. So inspired, Sayers went on to create a device which essentially worked like a vacuum to remove oil from the deep fryers. He contracted with a company developed a machine that filtered the cooking oil. This was a novel concept because, for one, it offered safety and convenience. Filtering, however, also provided cost-savings. Quite often, the oil may be fine for cooking, but left-over food sediments can erode its integrity. Filtering, therefore, extends the life of the oil, meaning restaurants don’t have to spend as much constantly replacing it. Blake says Sayers original plan was to simply sell the mechanisms directly to cafeterias and restaurant operators. As fate would have it, Sayers became acquainted with an entrepreneur named Victor Clewes who was fascinated by the potential for the mobile filtering devices that Sayers was promoting. These two ultimately resolved to develop an entire business model based on the providing of safe, convenient, affordable and environmentally-friendly services to commercial kitchens, cafeterias and restaurants, establishing FiltaFry in 1996. Services deployed as FiltaBio also help restaurants avoid running afoul of regulatory issues (and fines) relating to sanitation standards. Through FiltaBio, technicians will collect and dispose used oil, removing the need for restaurants to maintain pest-attracting containers at their respective site. What that may improve environmental quality at each respective location; those services also benefit the overall environment. FiltaBio sells the used oil to refineries specializing in the production of biodiesel, the safe and environmentally-friendly alternative to petrochemical-based diesel fuel. The servicing from FiltaBio actually helps restaurants and commercial kitchens achieve their own goals in operating with greater eco-sensitivity and sustainability. FiltaBio provides customers with detailed monthly reports which indicate how the collected oil from their location has beneficially impacted the environment by offsetting carbon emissions. Worker safety, costs savings, operational efficiency and greater environmental stewardship – these are the benefits provided from the services of Filta. Jason Sayers and Victor Clewes ultimately established a franchising system that also poses benefits for those looking to start their own successful business, and again, it is one for which there isn’t much organized competition. As Blake explains, early-on, Filta relied on a owner-operator model which involved the selling of a singular territory to a franchisee. Today, the company prefers to offer a multi-territory plan to multi-unit owners, but in any case, the model here is one that allows for flexibility. Filta has mapped-out territories throughout the world, with each comprised by similar market opportunities. For example, Chicago with its commercial density is comprised by 16 unique territories while the state of Montana is divided into two distinct territories. Opportunity-wise, however, the territories are all equal. Blake says the company looks for driven individuals who are able to follow a proven system for success. They can be owner/operators or a multiple unit owner who hires a staff and spends his time working “on” the business as opposed to “in” the business. Filta offers one of the most affordable pricing structures in the franchising industry, a territory typically costs just over $30,000, but a $100,000 investment covers all fees, equipment and services provided by Filta. There are discounts for those who purchase multiple territories. Following a conversation with the potential franchisee and the review of their applications, candidates attend a two-week training session at Filta’s headquarters in Orlando, Florida. 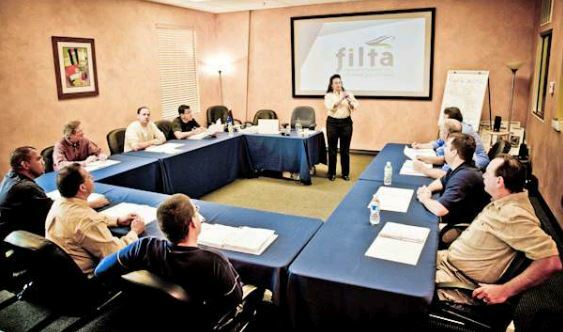 One week is spent in class learning all about the nuances of Filta’s innovations and how these benefit their customers while the second week offers an up-close, hands-on look into operations with candidates actually participating in service calls with an existing franchisee. Candidates are trained in every operational aspect of the business. Upon returning home, a Filta field representative will travel to the franchisee’s territory to provide hands-on guidance, coaching and support for another two weeks. The field representative will assist in helping the franchisee secure the first customers, complete the sales cycle and help ensure that all equipment is functioning as optimally as expected. As a mobile operation, this is a business that accommodates little in the way of overhead costs. The only real space that is required is a self-storage unit encompassing some 10×10-square feet for storing used oil. Filta helps arrange for the collection of this oil which is sold to biofuel refineries or renderers, enabling the franchisee to get paid a percentage based on the volume of oil they collect which is on top of the more substantial earnings they achieve through servicing restaurants, cafeterias, hospitality and entertainment centers. Blake explains that customer needs can vary. The franchisee may end-up servicing restaurants on multiple routes through a city, or have several large-scale clients who demand extra-attention. For example, one franchisee is responsible for serving operations at the Georgia Dome which is home to more than 110 deep-fryers. This Filta franchisee deploys a team to the Dome after every major event, be it a Falcons’ game, concert or monster-truck rally, to filter and collect used oil for transport off site. This franchisee is collecting tens of thousands of gallons of oil every month. Filta has presently more than 130 franchisees operating in 45 states within America as well as 26 countries worldwide. Franchisees also benefit from the company’s focus on constantly improving the efficiency of their technical systems as well as the strategic partnerships it has formed with other professional service providers. “It’s a good business, but it can also involve a lot of hard work … we provide the training and support to help our franchisees be successful, but like anything, it takes a high level of commitment. The pay off is a customer who is going to want you to come again, and again, so you’re not having to do a lot of cold calling for repeat business,” says Blake. In terms of the future, Blake says Filta is looking to expand on its composite of national commercial accounts. It presently has contracts with one the nation’s largest catering companies as well as a Starwood Hotels, a stalwart in the hospitality industry. The company is also preparing to rollout a new bulk oil delivery service, a cradle-to-grave solution allowing Filta to now supply new cooking oil beyond its fryer management and used-oil disposal services. 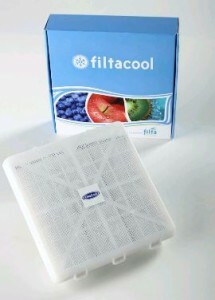 For more details on Filta’s innovative product and service offerings, as well as franchising territory options, visit the company website at www.gofilta.com.